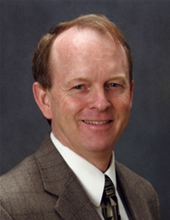 Dr. Kevin Kirby graduated from the California College of Podiatric Medicine in 1983 and completed his first year surgical residency at the Veteran's Administration Hospital in Palo Alto, California. He spent his second post-graduate year doing the Fellowship in Podiatric Biomechanics at CCPM where he also earned his M.S. degree. Dr. Kirby has authored or co-authored 28 articles in peer-reviewed journals, has authored or co-authored six book chapters, and has authored four books on foot and lower extremity biomechanics and orthosis therapy, all of which have been translated into Spanish language editions. He has invented the Subtalar Joint Axis Palpation Technique, the Anterior Axial Radiographic Projection, the Supination Resistance Test, the Maximum Pronation Test and the Medial Heel Skive and Lateral Heel Skive Orthosis Techniques. He has also created and developed the Subtalar Joint Axis Location and Rotational Equilibrium Theory of Foot Function and has co-developed the Subtalar Joint Equilibrium and Tissue Stress Approach to Biomechanical Therapy of the Foot and Lower Extremity. He has lectured internationally on 44 separate occasions in China, Spain, Belgium, New Zealand, Australia, England, Dominican Republic and Canada over the past 27 years on foot and lower extremity biomechanics, foot orthoses, and sports medicine. He has also lectured extensively throughout the United States. Dr. Kirby is a member of the editorial advisory board for the Journal of the American Podiatric Medical Association and a manuscript reviewer for the Journal of Biomechanics, Journal of Foot and Ankle Surgery, Medicine and Science in Sport and Exercise, and Journal of Foot and Ankle Research. He is currently an Adjunct Associate Professor in the Department of Applied Biomechanics at the California School of Podiatric Medicine and has a full time podiatric biomechanics and surgical practice in Sacramento, California. To read more about Kevin A. Kirby, DPM view his curriculum vitae. Copyright © 2014 Kevin A. Kirby, DPM - All rights reserved.